I don’t actually endorse Set to Sea as a book suitable for kids, but this is an adorable/hilarious/surprisingly sophisticated take. And I don’t think I’ve actually plugged the book for a few weeks! 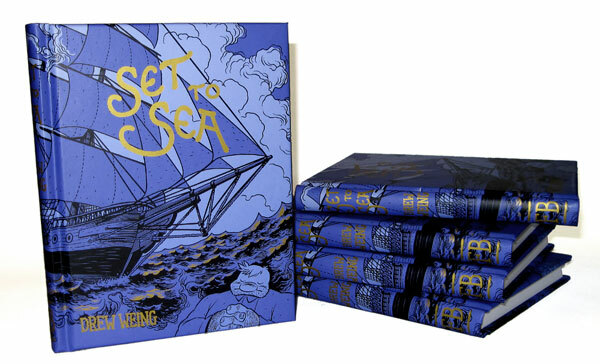 My nautical comic, Set to Sea, is out as a handsome little hardback book! You can read the first part of the story here. 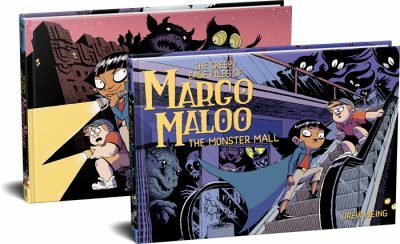 You can buy a copy from Fantagraphics or from Amazon. I’d appreciate it. Grace and I are thrilled that you dug her review. And, she and Cate loved doing it. And, we have been amazed by the attention this little video got. But, after talking about it, her mom and I decided to take the video down. We didn’t think through how many people we don’t know would be looking at a video of our little girl. And, we had a Papa and Mama Bear moment. I know it’s not the same (especially with Cate’s hilarious interjections), but I will get a transcript of the video for you to use. But, that said, Grace loves your book. I know it’s not “for kids,” but if you skip past about 8 pages, it has many lessons about growth through challenge, friendship, wisdom, experience and hard work that Grace picked up on and loved. And, the art is gorgeous. I love this book. I bought 3 copies for Christmas presents.